The enormous One Love Manchester benefit gig was an emotional event for everybody involved, with a whole host of stars delivering a stack of heartfelt hits. Ariana Grande was joined by Robbie Williams, Marcus Mumford, Miley Cyrus, Justin Bieber, Katy Perry, the Black Eyed Peas, Chris Martin, Oasis, Pharrell, Little Mix and others to celebrate and honor the 22 victims of the bombing that occurred after Grande's concert on May 22. After singing acoustic versions of his hit songs 'Love Yourself' and 'Cold Water', Justin Bieber took a moment to pay tribute to those who could not be at the concert. "I just want to honor those who were lost, those that were taken from us," he said as he fought back tears. "We love you so much, to the families we love you so much. Put both hands up to honor those people right now." 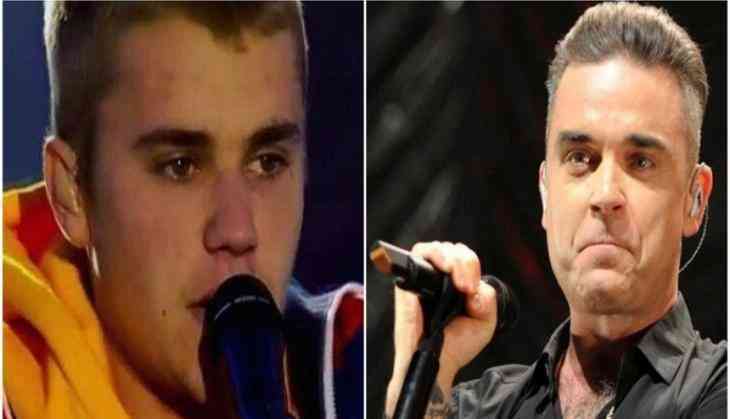 Robbie Williams, who dedicated his song 'Angels' to the attack victims, was helped by 50,000 of his Manchester fans after he struggled to get through. The British singer broke down in front of the huge crowd which then all began to sing the song for him instead. Robbie even changed the lyrics of his hit track 'Strong' and during the chorus he song: "Manchester, we're strong." The proceeds from One Love Manchester go to the Red Cross' Manchester Emergency Fund, which has been set up to help victims of the attack and their families.